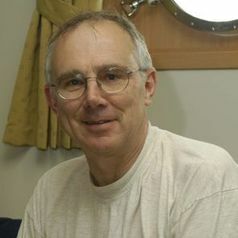 As Director of Oceanlab Monty Priede was responsible for a world-wide programme of marine research specialising in use of unmanned autonomous lander vehicles to carry out experiments and make observations with both stills and video cameras on the deep sea floor. His own research is now mainly concerned with deep sea fishes and how they survive in environments remote from surface food supply. Long-term changes in deep-water fish populations in the North East Atlantic: deeper-reaching effect of fisheries? , Proceedings of the Royal Society of London B.